that housing & family stability are foundational to ending poverty. We help families keep or obtain housing & get support to overcome poverty & thrive. Solid Ground works to end poverty and undo racism and other oppressions that are root causes of poverty. 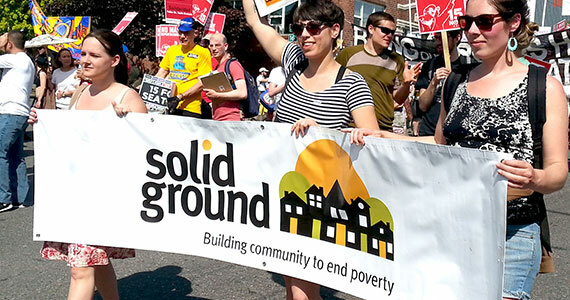 Solid Ground envisions a community beyond poverty and oppression where all people have equitable opportunity to thrive.